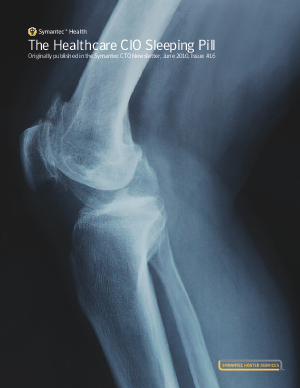 Symantec Health asked Healthcare CIOs if cloud archiving translated into a good night’s sleep, freeing them from worrying if their people were good stewards of patient and corporate data. We found that healthcare was catching up with other industries, who reported a 320% increase over the last nine months in those that are testing or planning to implement cloud computing. Read this whitepaper to learn more.